CLOSEOUTS. 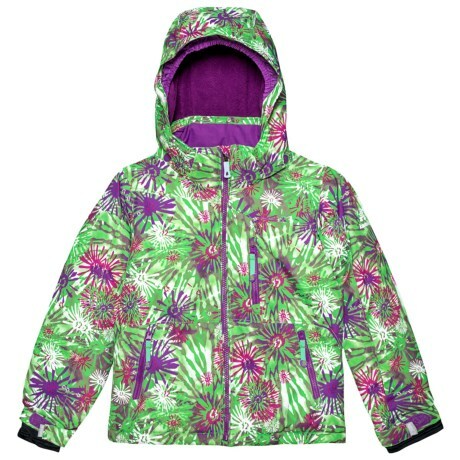 Kamikand#39;s Aria Flower Burst ski jacket keeps your young shredder warm and dry all day long thanks to low-bulk synthetic insulation and a water-resistant shell. Available Colors: PEPPERMINT/PINK, GRAPE/ORANGE. Sizes: 2, 3, 4, 5, 6, 12, 18.